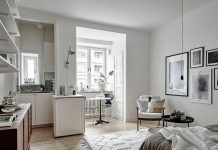 Roohome.com – Would you want to arrange your flat with a fashionable decor? 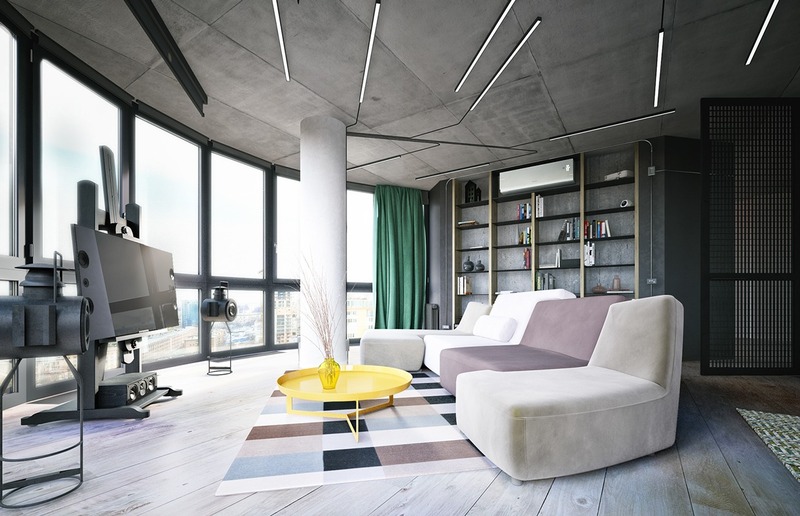 If you have a small space, this industrial small apartment design is suitable to apply for you. 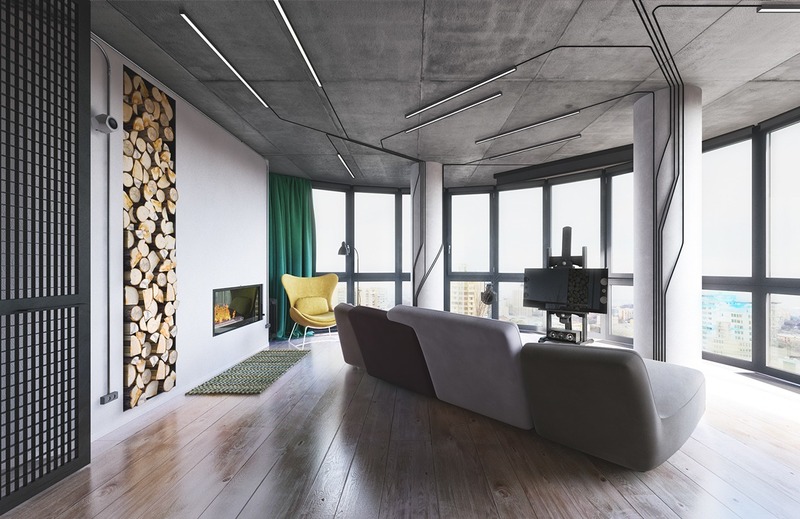 This designer attempts to decor this flat by using a circuit board and wooden accent. It will make the room looks warm and modern. Combining with other decorations, you will make your design perfect. If you want to see more details of the design, you should check how the step to decor below. 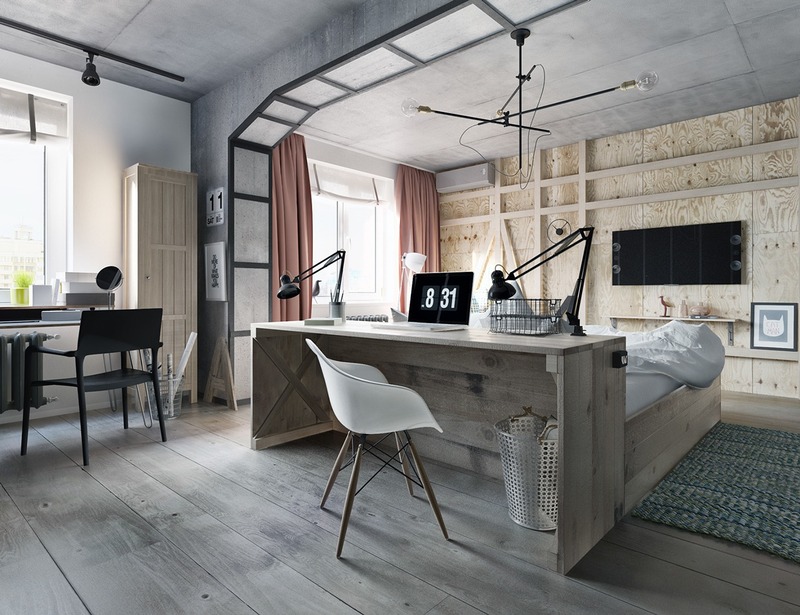 Let’s see how the designer arranges the industrial small apartment decorating ideas here! For the living room, you should apply with a modern and trendy decor inside. You should suit it with a gray and concrete design. To support your design, choose an industrial material design as the complement of your room. Applying a white color design into this living room. This modern industrial living room is suitable to make the industrial small home decorating ideas looks perfect. Adjust a simple and modern furniture inside. Using a wooden decor as the flooring material or other features inside. 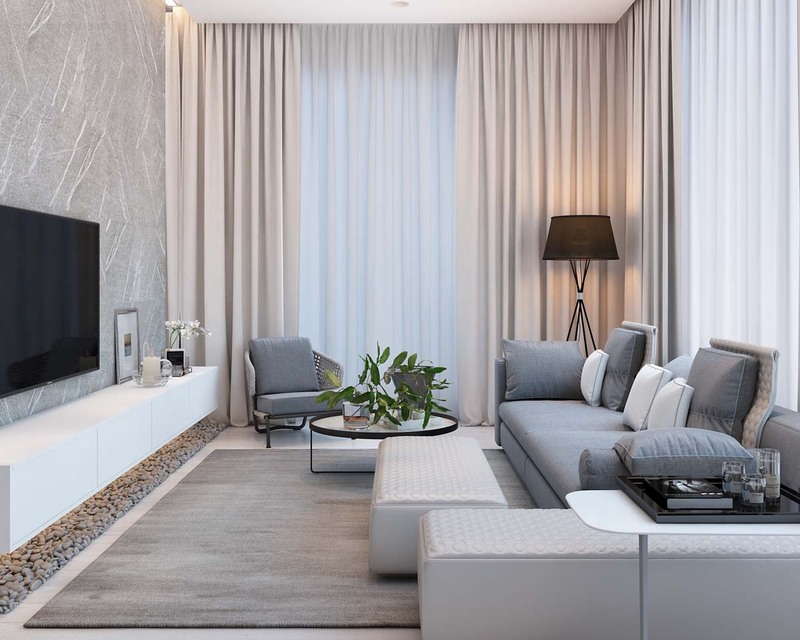 Applying gray color ideas to your modern industrial living room design. Next, move to the bedroom, in this design, you should make it into an outstanding and awesome decor. Applying a concrete as the prominent design. 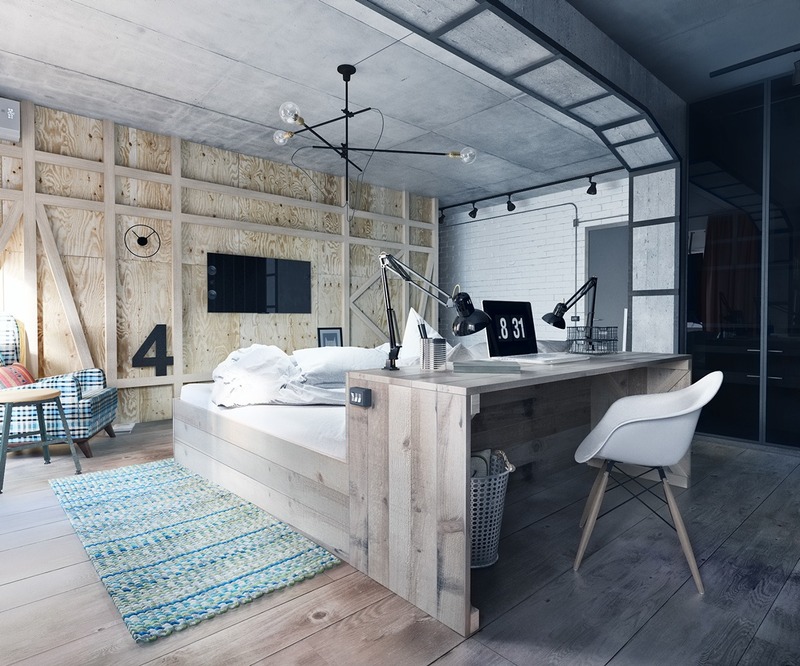 This industrial small apartment design looks gorgeous and trendy with smart decor ideas inside. For the part of the room, a circuit board and wooden decor may you use as the combining material decor inside. 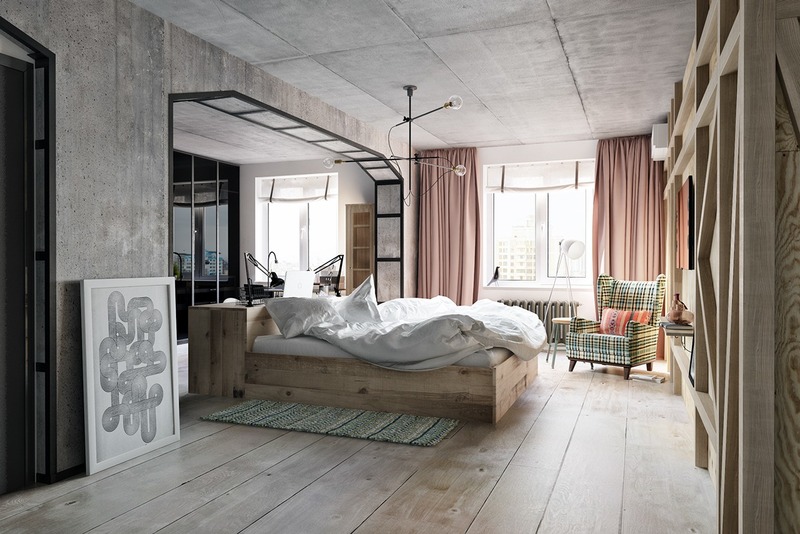 This material also may you set as the divider in this industrial bedroom design. Make this room looks contemporary with a white and the modern decoration. For the features, you may adjust based on this concept design here. Using a trendy lighting to make this room looks perfect. 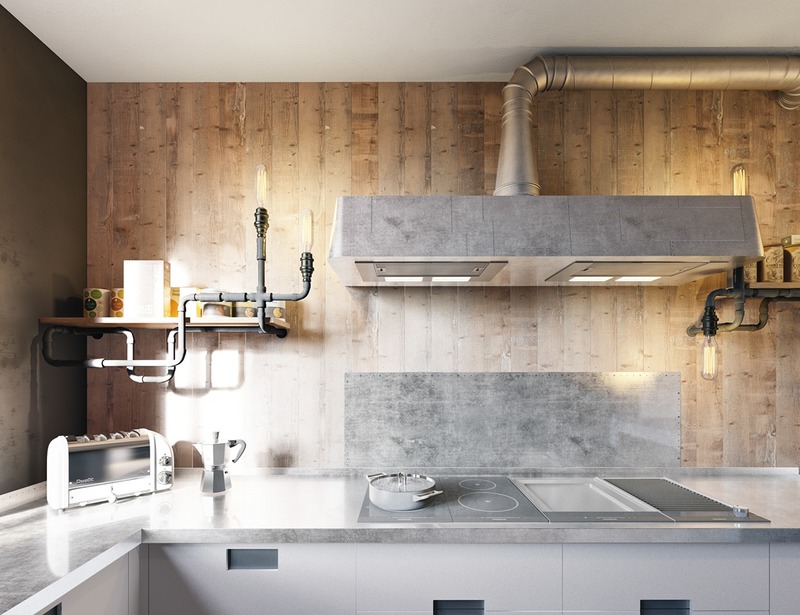 Then, for the kitchen, you may use a chic and outstanding decor to your industrial small apartment decorating ideas. This design will make your room looks awesome. Applying a gray color design to your apartment especially in this kitchen. Using modern and industrial features such as the furniture to complete your design. A circuit board may you use for the wall backsplash or to change your wall decor. 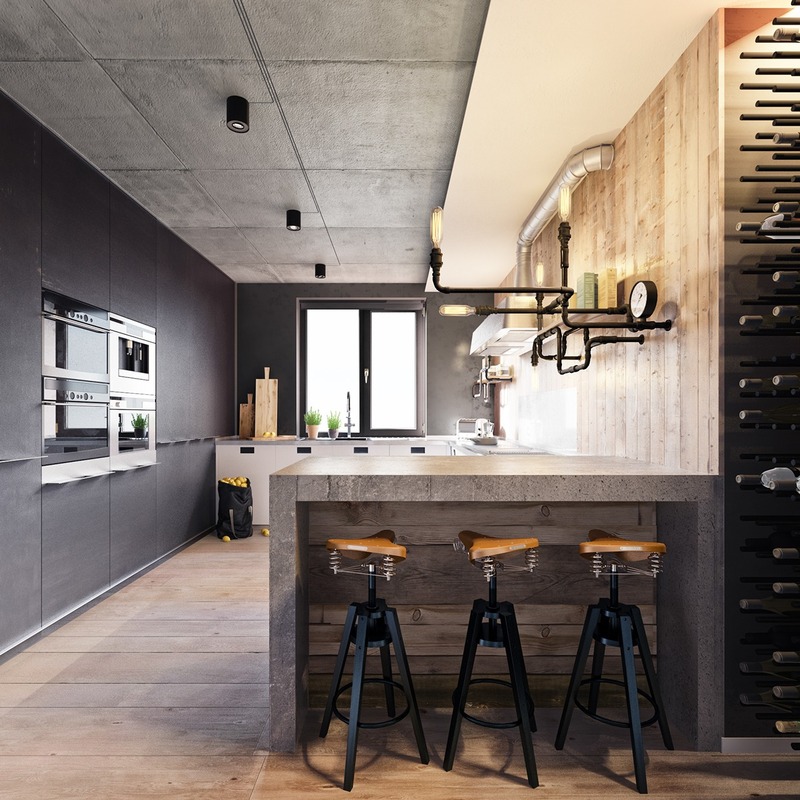 This industrial kitchen design using a contemporary and gray decor will make your design perfect. This gray color will bring out a warm and modern impression inside. 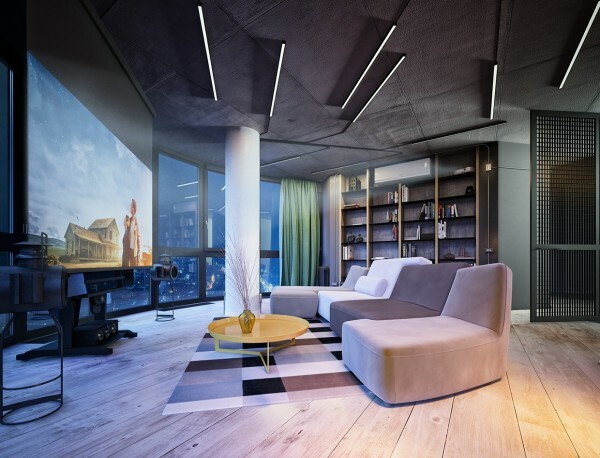 Adjust a modern multiple lighting as the complement of your flat. It also suitable if you want to add other ornaments into your kitchen. 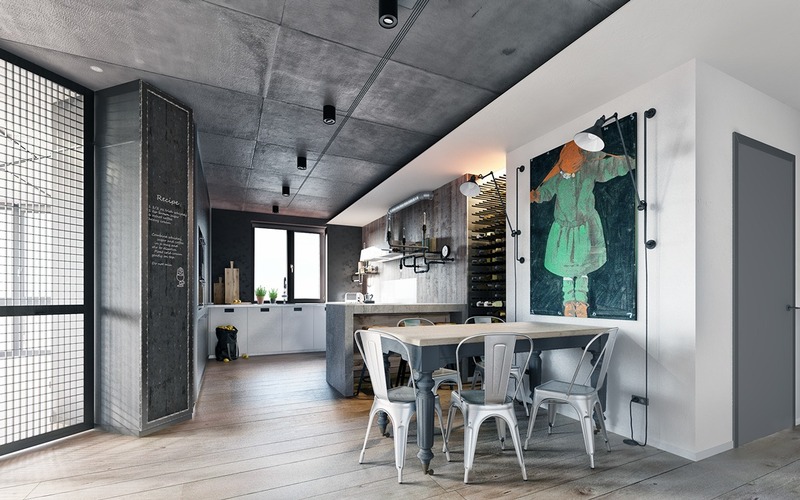 What do you think about this industrial small apartment design? Would you want to apply it for your flat? 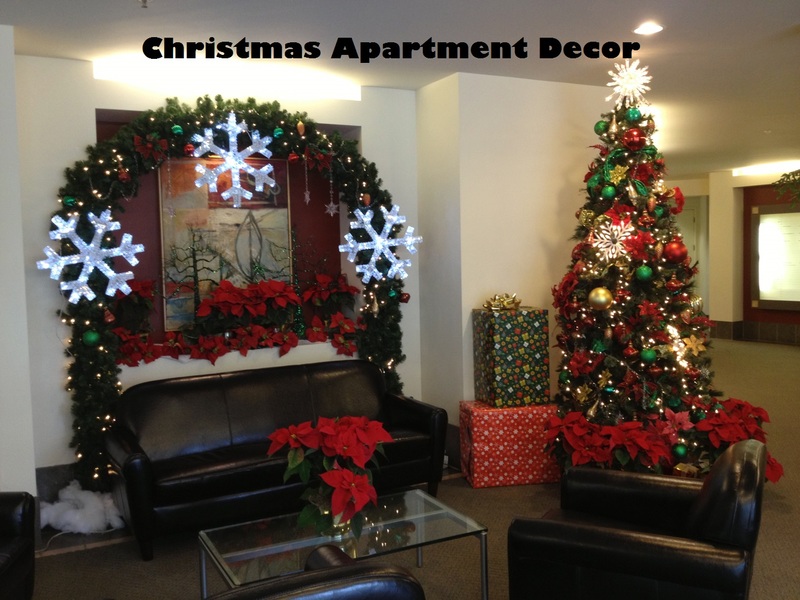 Hurry up to follow the steps above, then make your apartment looks warm and awesome. 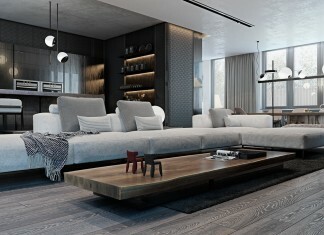 Let’s change your apartment into a contemporary design as the following design above.